WHAT SHOULD MY GOALS BE WHEN PLANNING MY ESTATE? Plan for yourself and your loved ones without losing control of your affairs. Account for the possibility of your own disability. Transfer your assets to your desired beneficiaries the way you want them to receive it and when you want them to receive it. Save every tax dollar, professional fee and court cost that are legally possible to save. Plan for future long term care needs and to prevent Medicaid estate recovery claims upon your passing. WHAT FACTORS SHOULD I CONSIDER WHEN PLANNING MY ESTATE? Depending on the size of your estate, estate taxes may be owed upon your passing. Both the federal government and New York State impose separate estate taxes. Each individual, however, has a federal estate tax exemption and a New York State estate tax exemption. Assets passing outright to a spouse are not subject to estate tax. Proper planning can maximize each individual’s estate tax exemption and preserve more of your assets for your family. In order to pass assets upon your death through the use of a Last Will and Testament, probate is required. Probate is the legal process by which the Court authenticates an individual’s Last Will and Testament and issues Letters Testamentary to a designated Executor. Only upon being issued Letters Testamentary can your Executor collect assets, pay expenses and transfer your assets as your Will directs. 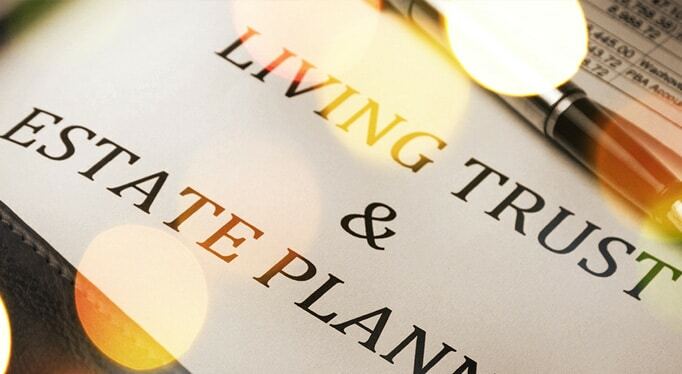 While the probate process is often effective in transferring assets upon death, there are several undesirable consequences that many people seek to avoid. In addition to court costs and attorney’s fees, the probate process can be quite lengthy depending on a variety of factors. It is not unusual for the probate process to take several months, or in some cases, over a year. During the time before the Will is admitted to probate, your Executor has no power and no distributions can be made. Another negative consequence of probate that often goes overlooked is Medicaid’s right to assert an estate recovery claim. When a Medicaid recipient passes away, Medicaid may have the right to recover for the benefits provided to the recipient by asserting a claim against the individual’s probate estate. Assets that do not pass through probate are not subject to a Medicaid estate recovery claim. When planning for minor beneficiaries, such as children or grandchildren, it is import to protect and provide for the beneficiary by directing how and when distributions should be made and who will be responsible for managing property for the beneficiary. When planning for a loved one with special needs, it is imperative to provide for the continuing care your loved one without disruption of public benefits, such as SSI and Medicaid. Many people think about estate planning in terms of passing assets to family and loved ones upon death. While this is an important aspect of estate planning, your future needs during your lifetime must considered. By properly planning for your own future long term care needs, you can maximize the assets that pass to your family and loved ones upon your passing. A Last Will and Testament is a legal document that sets forth how a person wants his or her estate to be distributed upon his or her death. Many people choose to plan their estates by creating a Will. Doing so gives you control over how your assets are to be distributed upon your death. In a Will, an individual can implement estate tax planning, special needs planning and planning for minor beneficiaries. It is important to remember, however, that property owned in trust, jointly held property and assets with beneficiary designations are not controlled by the terms of your Will. Although creating a Will is an effective way to transfer assets upon death, there are some disadvantages. 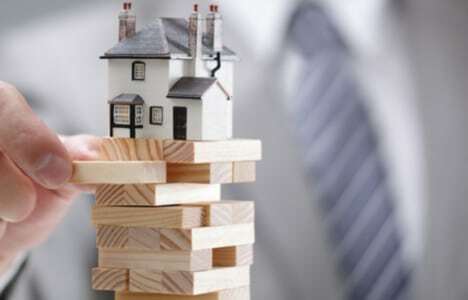 Probably the biggest disadvantage is the probate process and the time and costs associated with it. 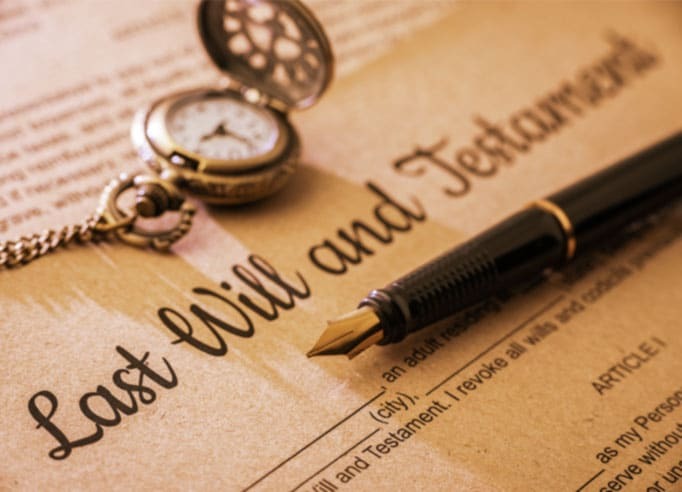 As such, since a Will guarantees that a person’s estate will go through the probate process, it may not be the preferred strategy in every situation. A trust is a legal arrangement by which one party (called a “Trustee”) holds legal title to property for the benefit of another person (called a “beneficiary”). The person who creates the trust is called the “Grantor,” “Creator,” “Donor,” or “Trustmaker.” The rules or instructions under which the Trustee operates are set out in the trust document itself. Simply put, a trust is a set of instructions telling the Trustee how to manage property that the trust owns for the benefit of the beneficiary. An irrevocable trust cannot be changed or amended by the Grantor. Any property placed into the trust may only be distributed by the Trustee as provided for in the trust document itself. For instance, the Grantor may set up a trust under which he or she will receive income earned on the trust property, but that bars access to the trust principal. 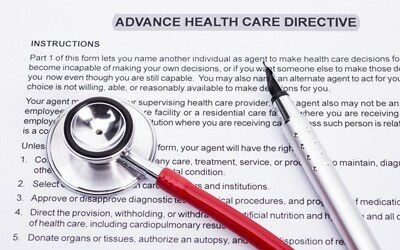 This type of irrevocable trust is a popular tool for Medicaid planning. A testamentary trust is a trust created by a Will. Such a trust has no power or effect until the Will of the Grantor is probated. Although a testamentary trust will not avoid the need for probate and will become a public document as it is a part of the Will, it can be useful in accomplishing other estate planning goals. For instance, a testamentary trust can be used to reduce estate taxes on the death of a spouse or provide for the care of a disabled child. Through the use of a credit shelter trust (either as part of a Will or a revocable living trust), a married couple can take full advantage of each spouse’s applicable estate tax exemptions. As compared to situations where spouses simply leave everything to one another upon death, a properly drafted credit shelter trust would allow a married couple to pass double the amount through their estates free from federal and New York State estate taxes. The purpose of a supplemental needs trust is to enable the Grantor to provide for the continuing care of a disabled spouse, child, relative or friend. Assets held by a properly drafted supplemental needs trust may be used for the benefit of the trust beneficiary without causing the beneficiary to lose eligibility for government benefits such as SSI and Medicaid. A supplemental needs trust can be created by the Grantor during life or through the execution of a Will. An ILIT is a special type of irrevocable trust. It is specifically designed to be the owner and the beneficiary of life insurance policies. When the life insurance proceeds are paid into the trust upon the death of the Grantor, they are not included in taxable estate of the Grantor for estate tax purposes. For this estate tax-free status to be attained, however, all of the technical and procedural rules governing ILITs must be followed to the letter. A GRAT is an irrevocable trust funded with cash or other income producing assets. The GRAT provides that the Grantor receive income produced by trust assets for a specified period of time in the form of an annuity. Upon the completion of this specified period, provided the Grantor has outlived the term, the assets in the GRAT will pass to named beneficiaries and will no longer be part of the Grantor’s estate for estate tax purposes. A QPRT is an irrevocable trust specifically designed to hold your ownership interest in your personal residence. Under the terms of a QPRT, the Grantor transfers title to his or her residence to the trust and retains the exclusive right to live in the residence for a specified term of years. If the Grantor survives the term, the Grantor will no longer have any interest in the residence and it will not be included in the Grantor’s estate for estate tax purposes. An IRA Trust is designed specifically to act as the beneficiary of your IRA. It is a revocable trust which becomes irrevocable upon your death. 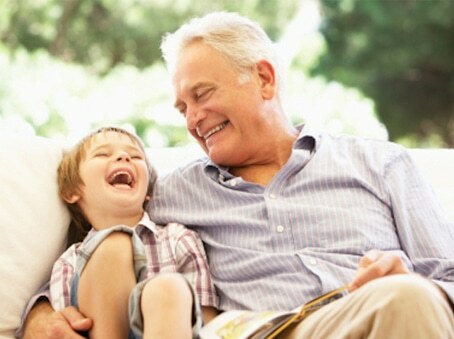 When the trust becomes the beneficiary of your IRA following your death, the required minimum distributions (and any additional withdrawals which your Trustee deems appropriate) pour into the trust and the terms of the trust will determine how and when the proceeds will be paid out to your beneficiaries. Current law allows non-spouse beneficiaries of an IRA to “stretch-out” the taxable required minimum distributions over his or her actuarial lifetime. The purpose of the IRA Trust is to ensure this “stretch-out” of the required minimum distributions after your death and/or to enhance the protection of your beneficiary’s inheritance from poor money management, an overbearing spouse, divorce, creditors and in special needs situations. Asset management: The trust permits the Trustee to administer and invest the trust property for the benefit of one or more beneficiaries. The Grantor retains the right to make all decisions with respect to the management of trust assets. The Grantor may also appoint a Successor Trustee to manage the property in the event of the Grantor’s incapacity or inability to act. Probate avoidance: At the death of the Grantor, trust property passes to whoever is named in the trust in the manner chosen by the Grantor. The trust does not come under the jurisdiction of the probate court and its distribution will not be held up by the probate process. However, the property of a revocable trust will be included in the Grantor’s estate for tax purposes. Tax planning: Where the Grantor has a spouse, a well-drafted revocable trust can minimize the estate taxes due by taking full advantage of both spouse’s New York State and federal estate tax exemptions. This is done through the use of credit shelter trusts. Any and all income generated by the assets held by a revocable trust is reported on the individual tax returns of the Grantor. Loved ones of an individual with special needs must be sure that assets are left to such an individual in a manner which avoids disqualification from receiving government benefits, such as Medicaid and SSI. This is often done by creating a supplemental needs trust. The purpose of a supplemental needs trust is to provide for the continuing care of a disabled individual without causing the individual to lose necessary government benefits. Assets held by a properly drafted supplemental needs trust may be used for the benefit of the trust beneficiary for his or her needs above and beyond what is received through government programs. Examples of such needs often include education, hobbies, clothing, vacations, household goods, etc. An essential part of any estate plan is the durable power of attorney. No matter how you decide to plan, a comprehensive durable power of attorney should be executed appointing one or more family members or trusted friends as your agent(s). Your agent will have the power to make financial decisions on your behalf, including the ability to implement estate and Medicaid planning, make gifts and to handle tax matters. A comprehensive durable power of attorney drafted by an attorney specializing in elder law matters is a critical part of your plan to protect and preserve your assets. In addition, this planning tool can be crucial in avoiding a guardianship proceeding which can be time consuming and costly. Health Care Proxy– A health care proxy is a document that allows you to appoint another person to make health care decisions on your behalf if you become unable to make those decisions for yourself. Living Will– A living will is a document that allows you to express your desires regarding life sustaining treatment in the event there is no reasonable prospect of recovery. It is an important document to provide guidance to your loved ones in the event they are ever faced with making such a difficult decision on your behalf. Trying to navigate the probate process or otherwise administer an estate while coping with the loss of a loved one can be extraordinarily difficult. Our staff is here to ease the burden facing the family and friends of a loved one who has passed away. Preparing and submitting necessary court documents. Following the directions of the Will to make distributions to beneficiaries. For decedents with no Will, rather than probate, the process is called an administration proceeding. An administration proceeding is similar to probate and the administrator of the estate has the same responsibilities as an executor. In an administration, however, distributions must be made in accordance with New York State law. Whether a probate or administration proceeding is needed, our firm is here to assist you throughout the entire process. This is Attorney Advertising. The information contained herein is for informational purposes only and is not legal advice or a substitute for legal counsel. The information presented herein should not be interpreted to create an attorney-client relationship.